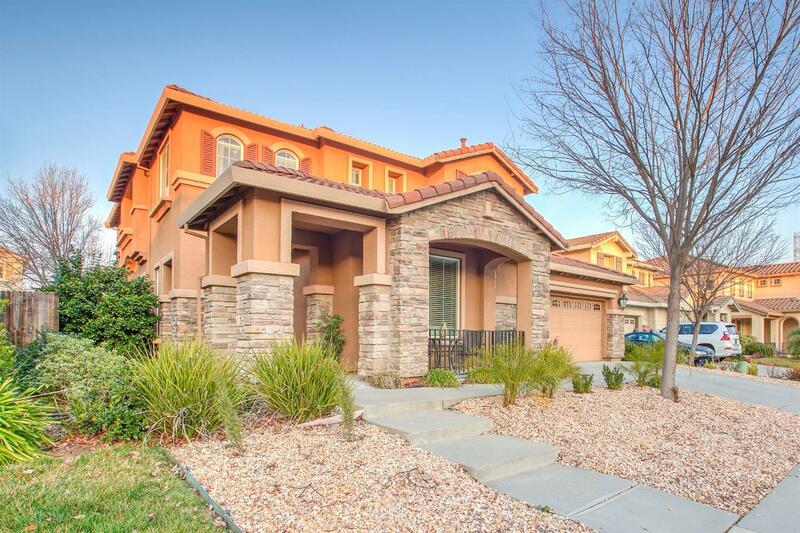 EXEMPLARY.. Sunridge Park Home with 3 car garage, NO HOA's, Award Wining School District and Solar! Home features formal dining & living room, AIRY family room with Great room concept, fireplace, high ceilings, and SIZABLE kitchen with ABUNDANCE of cabinetry, walk in pantry, LARGE Center Island, FULL bath & bed downstairs. Resort STYLE master suite with retreat and VAST bathroom with double sinks, soaking tub & shower stall, with GENEROUS walk in closet. Backyard made for ENTERTAINMENT, built in BBQ, drought-resistant landscaping and hot tub for summer FUN!